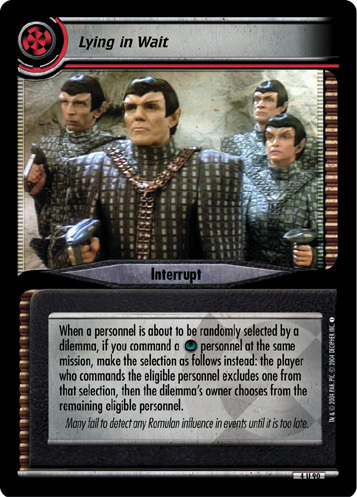 To play this interrupt, you must command three personnel. When a personnel you command but do not own is facing a dilemma, lose 5 points to prevent and overcome that dilemma. 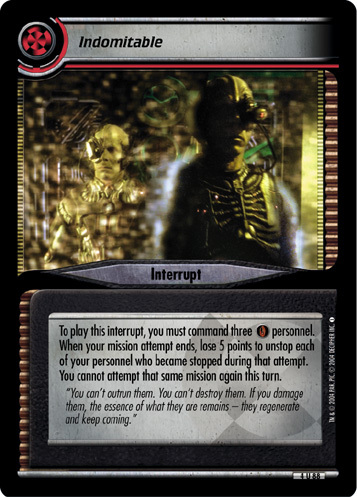 Remove this interrupt from the game. 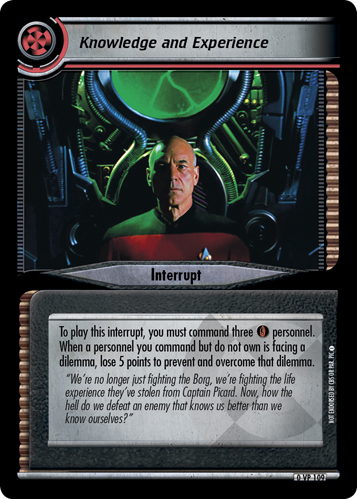 "We're no longer just fighting the Borg, we're fighting the life experience they've stolen from Captain Picard. Now, how the hell do we defeat an enemy that knows us better than we know ourselves?" 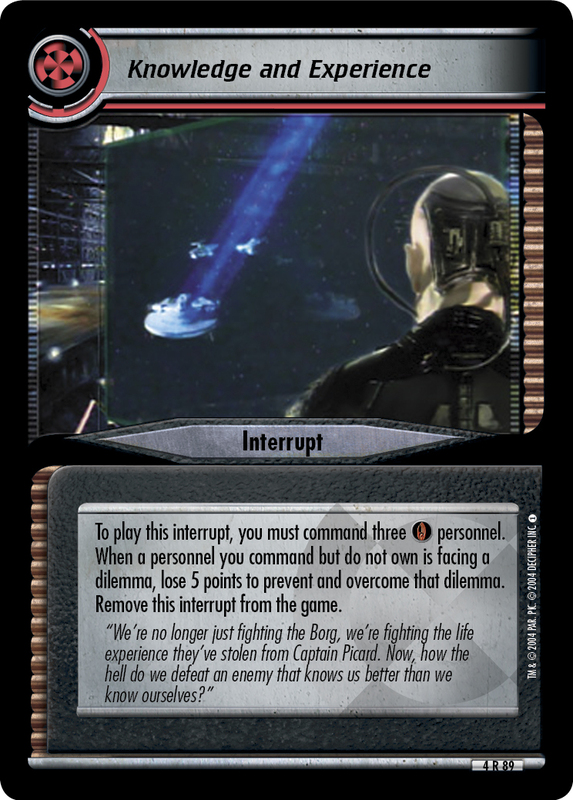 Errata'd on 2016-08-08: This interrupt now removes from the game.